Justin Michael Moore and Christopher James Orlando. Credit CCPD. 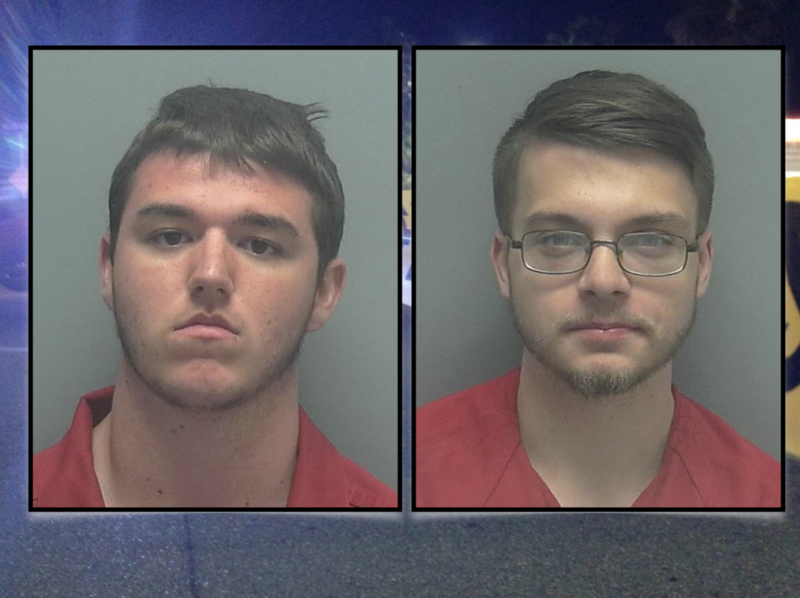 Two men are accused of breaking into multiple vehicles and property damage in Cape Coral. Early Thursday morning Cape Coral Police received a call about criminal mischief and a smashed windshield on the 500-block of SW 11th Avenue. Officers located two male suspects in the area: Justin Michael Moore, 19, and Christopher James Orlando, 19, both of Cape Coral. According to CCPD, detectives say Moore damaged the windshield of a vehicle and entered two unlocked vehicles taking items from each. Orlando also entered an unlocked vehicle and took items. Moore faces charges of Vehicle Burglary, Grand Theft, Petit Theft, and Criminal Mischief. Orlando faces charges of Vehicle Burglary and Petit Theft. Both were transferred to the Lee County Jail.